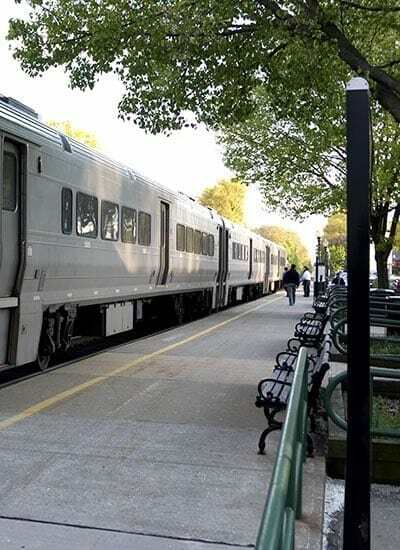 Located in Union County’s desirable neighborhoods such as Millburn, Short Hills, Summit, Maplewood, and South Orange, as well as nearby Livingston and Berkeley Heights, our community provides access to the best of New Jersey. Whether walking or driving, the one, two and three bedroom apartment homes at Short Hills Club Village put you within easy reach of your favorite destinations for work or play. Manhattan and all its fine dining, world-class museums, theaters and nightlife are less than 45 minutes away by train or car. Newark Liberty International Airport is approximately ten miles east of Springfield Township (15 minutes by car). Merck & Company, Overlook Medical Center and St. Barnabas Medical Center are all five minutes from our community. Other Union County companies that are close by are Alcatel-Lucent, Conocco Phillips Refinery, NEMF, Maher Terminals, Trinitas Hospital, and Children’s Specialized Hospital..
Baltusrol Golf Club, a PGA Championship Host, is 1.5 miles from Short Hills Club Village. World-class shopping is available at The Mall at Short Hills. Short Hills Train Station is just six blocks south. Only 2.5 miles from Summit Train Station. Within two miles of Paper Mill Playhouse. Less than 1 mile from Bow Tie Milburn Cinemas 4. Considered a hidden gem, Springfield is located in Union County, New Jersey, only 25 miles from New York. Newsweek and New Jersey Monthly magazines both give Springfield the accolade of “Best of” for Schools and Places to Live in the Garden State. 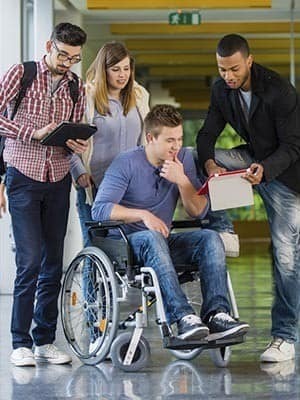 The kids can easily walk to Milburn High School, Milburn Middle School and Jonathan Dayton High School from our garden-style apartment community in Springfield, NJ. Several nearby parks, also within walking distance from Short Hills Club Village, include Crescent Park, Denham Park and Cora Hartshorn Arboretum. 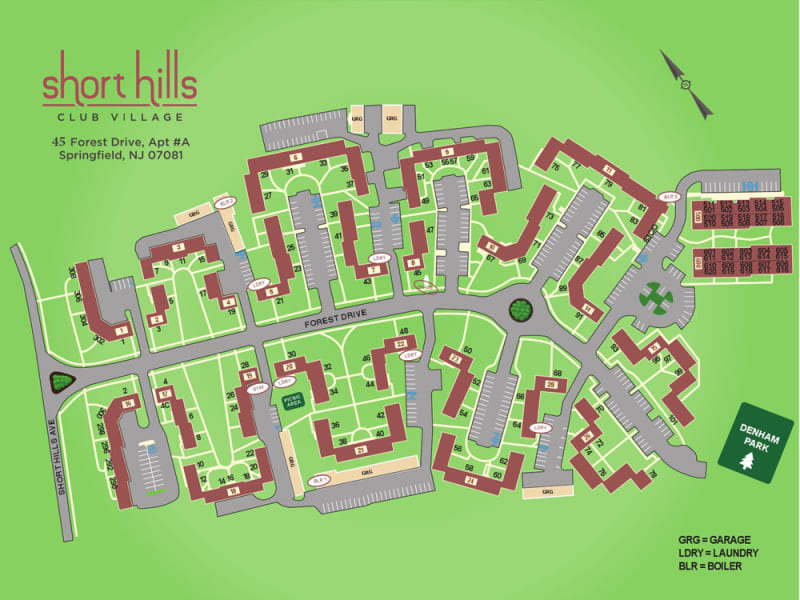 Short Hills Club Village in Springfield, NJ, is an ideal home for medical residents at one of the area’s teaching hospitals. Overlook Medical Center and St. Barnabas Medical Center, in nearby Livingston, are both non-profit teaching hospitals located within ten minutes of our quiet community. You will be grateful to share your community with fellow medical residents and professionals already living at Short Hills Club Village. When it’s time for a break, residents can enjoy a variety of local favorites such as Khun Thai Restaurant and Enzzo’s Trattoria-Restaurant. Denham Park, with its grass fields and basketball courts, is the perfect to visit for some outdoor time. Whether you are looking for a quiet place to study, or easy access to the city, Short Hills Club Village has something for everyone. Contact our leasing office today and schedule a tour of our exquisite community.